Fancy saving a rather huge £342.94 to get the lowest ever iMac Pro price? 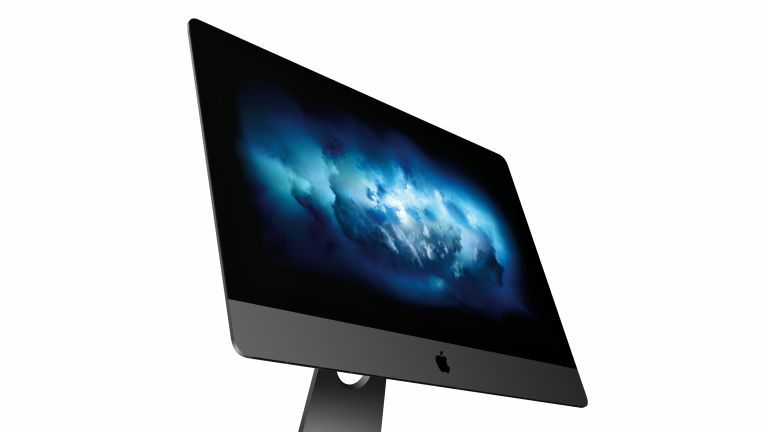 You're in luck today then, as our friends over at TechRadar have shared their voucher code with us to give you all a huge reduction on a brand new iMac Pro from the Premium Apple reseller, KRCS. You can save 7% off that massive RRP of £4899 with the voucher code TECHRADAR7 to bring the price down to £4556.06 at KRCS. Let's not pretend that means the most powerful Mac ever made is now cheap, but that's the first ever discount we've ever seen on the iMac Pro price. As you can see by the comparison chart at the bottom of the page, other retailers are all stubbornly sticking to the original £4899 price that the iMac Pro launched at late last year. Nobody else is offering a discount at all, never mind a saving of nearly £343. So you're ready to take advantage of this excellent iMac Pro price? When you add an iMac Pro to your basket at KRCS, click the trolley in the top-right corner and click 'View and edit basket' at the bottom of the pop-up. Then enter the voucher code TECHRADAR7 in the discount code section to get your £342.94 discount. Note: the reduction section at checkout seems to say the discount is just £285.78. But the actual final discount you're getting is the 7% off reduction of £342.94 when you look at the final asking price of £4556.06. This fantastic iMac Pro price is for the configuration with the following internal specs: 27-inch Retina 5K display, 3.2Ghz 8-core Intel Xeon W processor (with Turbo Boost up to 4.2Ghz), 32GB 2666MHz ECC RAM and a 1TB SSD. This is the standard, and cheapest, iMac Pro setup around and an incredibly powerful and capable machine. However, if you'd like to add more RAM, a bigger SSD or make further alterations, you can use you can still use the TECHRADAR7 voucher code on any new KRCS iMac Pro model.